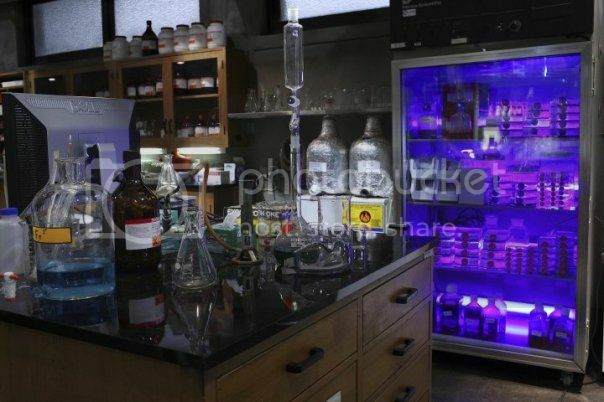 The quirky and fun, if unrealistic, laboratory of Dr. Walter Bishop on the sci-fi television show "Fringe." ©20th Century FOX, all rights reserved. So ya wanna work in showbiz, eh kid, but all you’ve got is an astrophysics degree and the glint of stars in your eyes? Even five years ago, such a notion would have been unthinkable. Not only has sci-fi traditionally been regarded as a niche segment across all media markets, research into scientific accuracy and integrity, let alone in-house science advisors, were nonexistent. Today, with science content proliferating every year in mainstream film and television, and with sci-fi movies grossing better than ever at the box office (two of the biggest hits of the last six months were Inception and TRON: Legacy), careers for scientists in entertainment are more sought out than ever. ScriptPhD.com Editor/Creative Director Jovana J. Grbić and Jet Propulsion Laboratory scientist/renowned television science advisor Kevin Grazier recently spoke at an Emory University career panel geared towards aspiring science advisors and consultants. We kick-start 2011 with podcasts of both talks. We hope you find inspiration, ideas, and that this year is one of immense success for all of our readers, collaborators and clients.